When it comes to speech therapy, my brain is almost always thinking about AAC and core vocabulary. Man, the hardest part is getting everyone on board with implementing it and making it a part of every single daily activity. I've gone to some great conferences. 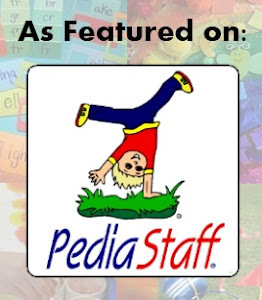 I follow other SLPs online. I read articles. I listen to podcasts. The message remains consistent: Model, model, model. 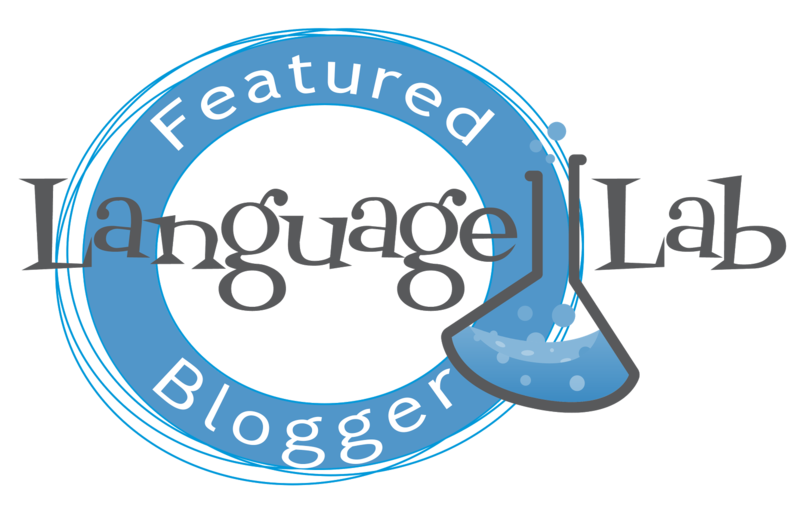 Use aided language stimulation. Provide opportunities. My job is to do something about it. And, that's what I'm going to do. One of the biggest pitfalls of accessing AAC devices is the cost. 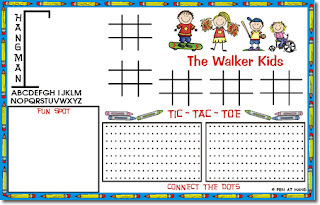 There's been a big push lately to use low tech communication boards with core vocabulary for all students in the classroom. In fact, I've seen several people printing giant core vocabulary posters in the classroom to model the vocabulary (sequences) to the students. If you have AAC users that use Saltillo Nova Chat software, you can download the free (non-speaking) version of Chat Editor and demonstrate while using a SMART Board. That's what I do. It is tough when you have several students with different systems. Man, what a challenge. Talk about code switching. My brain goes from Nova Chat's Word Power to Prentke Romich's Unity (and Words for Life) to AssistiveWare's Proloquo2Go all in one day. It's like learning a (few) new languages. While driving the other day, I had a thought. 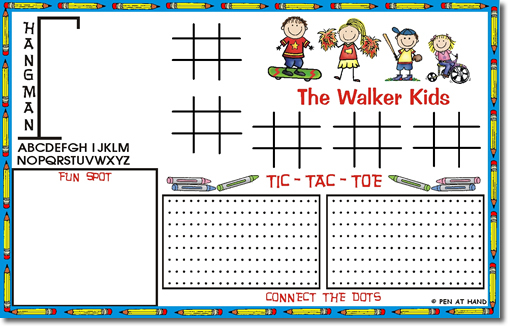 What if we printed off low tech communication boards like kids menus at restaurants? You know--like the ones they have at Bob Evan's or Red Robin. They could be easily replaced everyday. Of course, you could laminate them and reuse them. I'm trying to find a low cost way of doing this. It could even serve as the student's place mat. We would have no excuse for not having a communication board nearby. I had another thought the other day while in the closet (not my office) while searching for some old materials. I stumbled across some old, fading Superhawk devices. For you kids out there, these were precursors to iPads, tablets, and phones. These devices were the trailblazers to what we see today in AAC technology. Look around in your school closets (your office) and you might find some collecting dust. 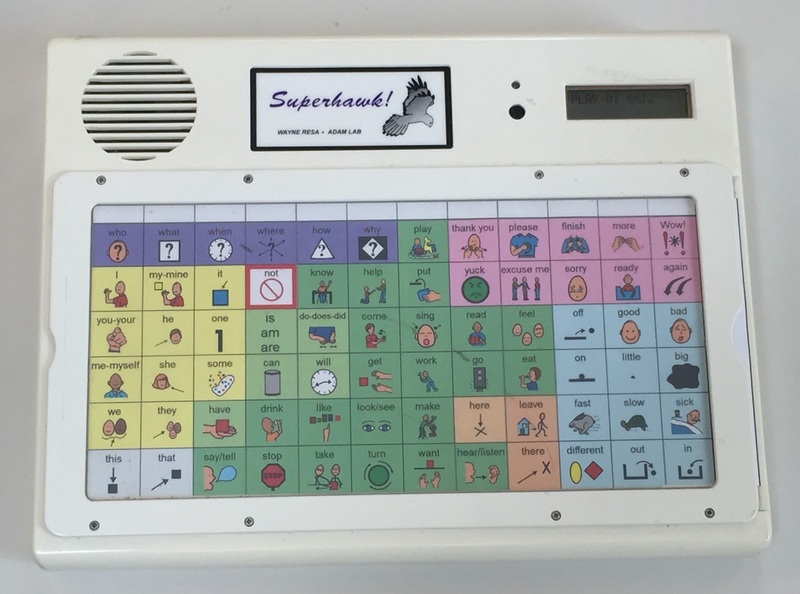 I had the genius idea of turning the five Superhawks into core vocabulary AAC devices. Duh! Superhawks can range between 1 and 72 pictures. So what did I do? I went to Boardmaker Share and searched for 72 core vocabulary board. Guess what? There was one made by a user called "72 Color Board". I used it as a model and recreated one for the Superhawk. It's fairly easy to create a communication board in Boardmaker. If you use a CD-rom version, Open a New Template. You'll see BM Communication Devices folder. Open that and look for your particular communication device. Open and create. You can model your core vocabulary after existing boards out there (either on a device you have or on the internet). You can do the same on Boardmaker Share. Just search for your device templates. You can also look on Pinterest for some good examples. So what do we need to do as SLPs and educators? Provide opportunities. You cannot communicate if you don't have the means. If we don't have dedicated speech devices, iPads, phones, or tablets to use, then at the very least we can come up with less techie versions. It has to become part of the environment. It has to be an expectation that the everyone is communicating either by using AAC boards and modeling their use. Dust off your old GoTalks, Superhawks, Super Talkers, and Quick Talkers and get started today.